The best thing about smartphones is that they're always improving thanks to developers looking for ways to make our pocket computers even better. 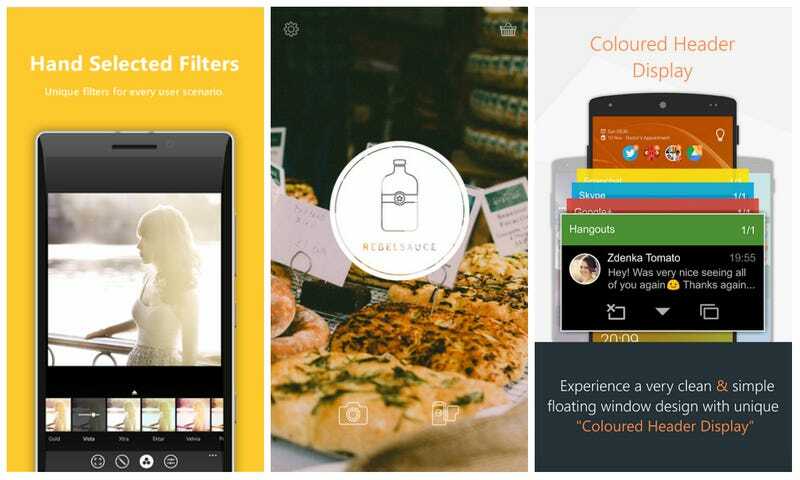 This week we have lots of great downloadables for Android, iOS, and Windows Phone. Take a look and see if any strike your fancy. Earlier this week we saw Square take the wrapper off its Seamless food delivery competitor, Caviar. Square's option basically plugs all the restaurant holes that Seamless doesn't already fill. It also bakes in a GPS delivery tool, which is a lot like Domino's Pizza Tracker. The service is currently available in Boston, Chicago, Los Angeles, Manhattan, Brooklyn, Philadelphia, the San Francisco bay area, Seattle, and Washington DC.